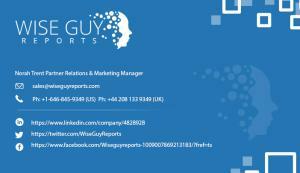 WiseGuyReports.com “Hungary - Telecoms, Mobile and Broadband - Statistics and Analyses” report has been added to its Research Database. PUNE, MAHARASTRA, INDIA, March 14, 2019 /EINPresswire.com/ -- WiseGuyReports.com “Hungary - Telecoms, Mobile and Broadband - Statistics and Analyses” report has been added to its Research Database. Hungary’s telcos look to expand cross-platform servicesAs in many other markets in the region, in Hungary the number of fixed-lines, as also fixed-line revenue, has been affected by the changing consumer use of such services and by the trend for fixed-to-mobile substitution. Fixed-line operators have thus looked to fixed-line and mobile broadband services to boost revenue. The economic crisis also affected telecom revenue, though recovery since 2013 has increased disposable income among consumers and so helped revitalise sector revenue. Report update includes the regulator’s market data to June 2018, telcos’ financial and operating data to Q2 2018, recent market developments. Vodafone Hungary, Maygar Telecom, UPC Hungary, Hungarotel, GTS Datanet, B2B Europe, Invitel, Antenna Hungaria.